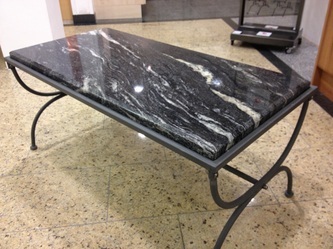 Here at The Marble Warehouse we can provide a unique service - You tell us what to make and we can make it! 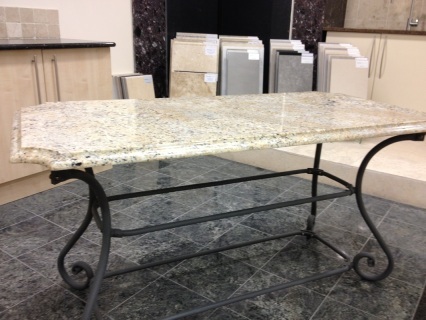 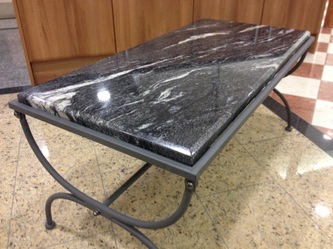 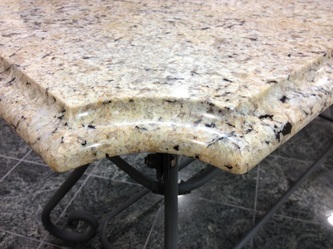 However, many people are also looking for an "off the shelf" marble table which they can make use of around their home. The Marble Warehouse now offer Marble (or granite or quartz!) tables that can be used indoors or outdoors - They are proving especially popular for use in conservatories and gardens. Suitable for indoor or outdoor use - ideal for a conservatory or garden. Illustrated with Golden Rosella 30mm Ogee profile granite. 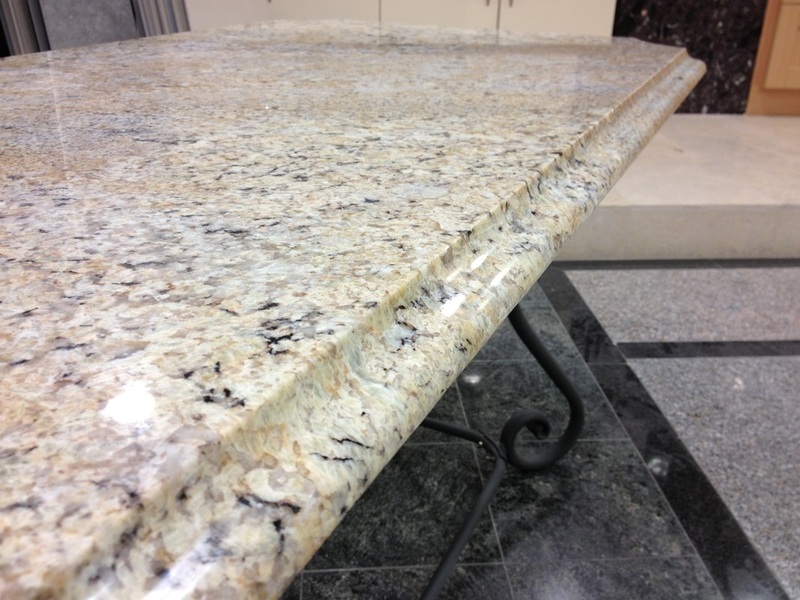 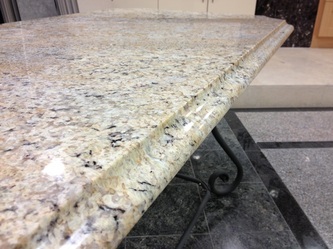 Take your pick - have marble, granite or quartz! With stone worktop Ogee profile. 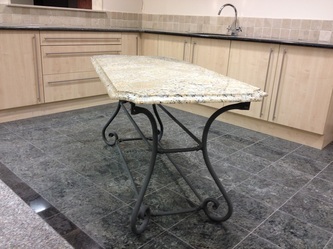 Upon order placement we will send you a chart for you to choose your stone and colour. Wrought Iron Coffee table with solid stone top . 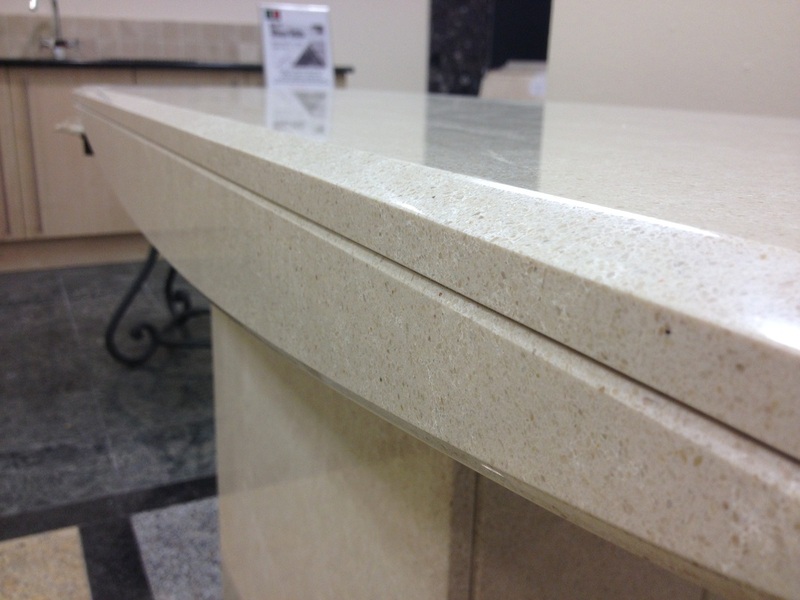 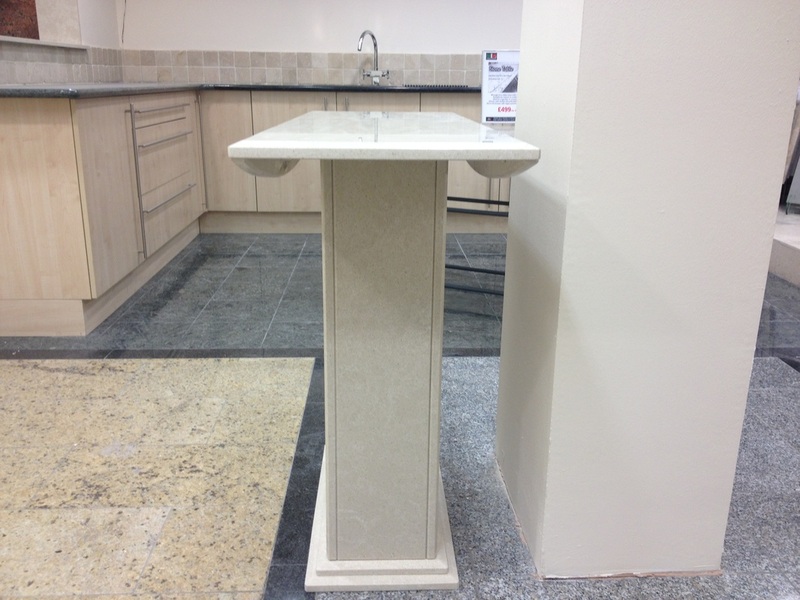 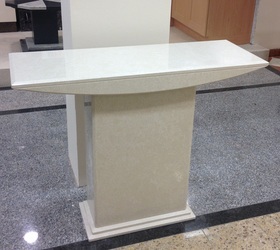 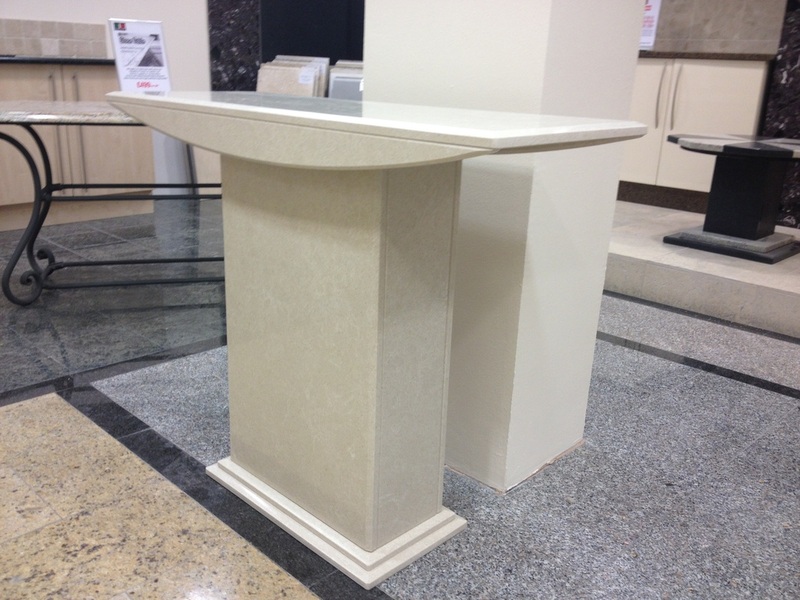 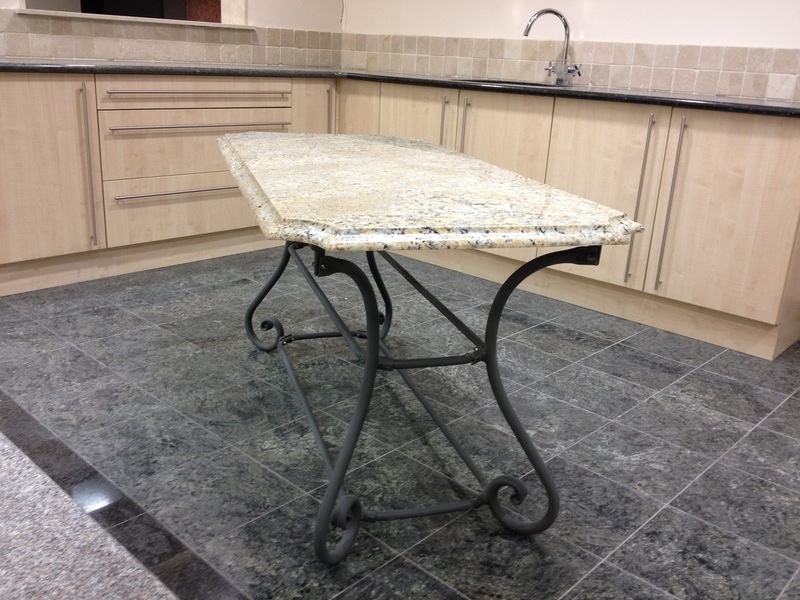 With stone worktop - Bevelled profile. 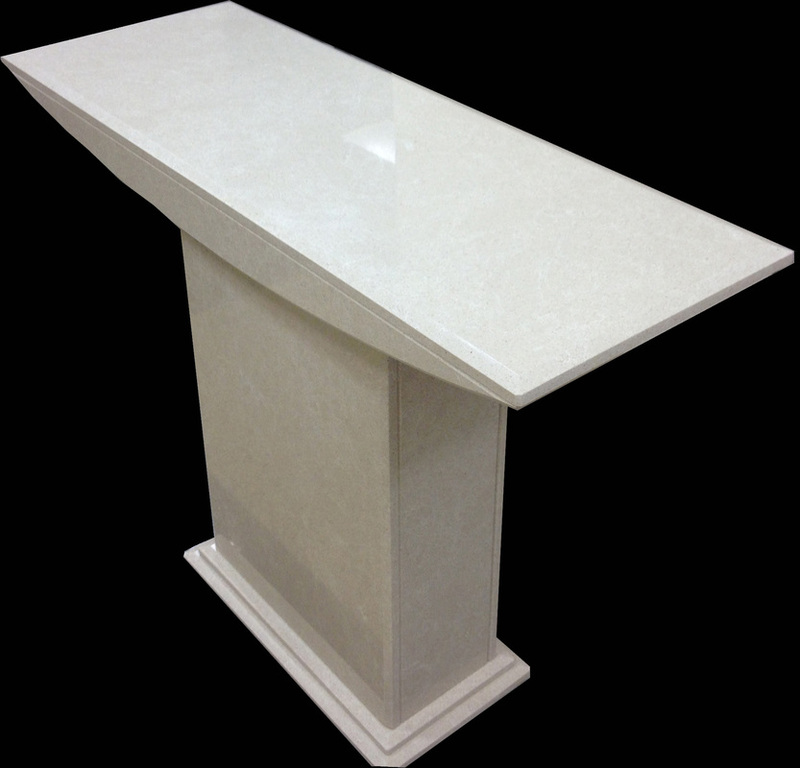 Upon order placement we will send you a colour chart so you can choose your marble.